As I’ve been planning my racing calendar for the year, I’ve been reminiscing about races of the past. One race always sticks out. I can’t say I enjoyed it exactly, but it was a great experience that I learned a lot from. The Drag-N-Fly Trail Half Marathon. I ‘ran’ Drag-N-Fly in the fall of 2011. Drag-N-Fly is a trail half marathon put on by Brazen Racing. The story goes that the name of the race is due to the fact you drag on the uphills and fly on the downhills. And there is a lot of uphill- the half marathon climbs just over 2700 feet. The course is a giant loop in Black Diamond Regional Park near Antioch, California which, as far as I can tell, from May-October is always at least 95 degrees. Add to heat the fact that the course is totally exposed. There is nary a tree or source of shade in sight. Oh yeah, and the downhills are mostly steep and rocky, so there isn’t much running on the downhills either. 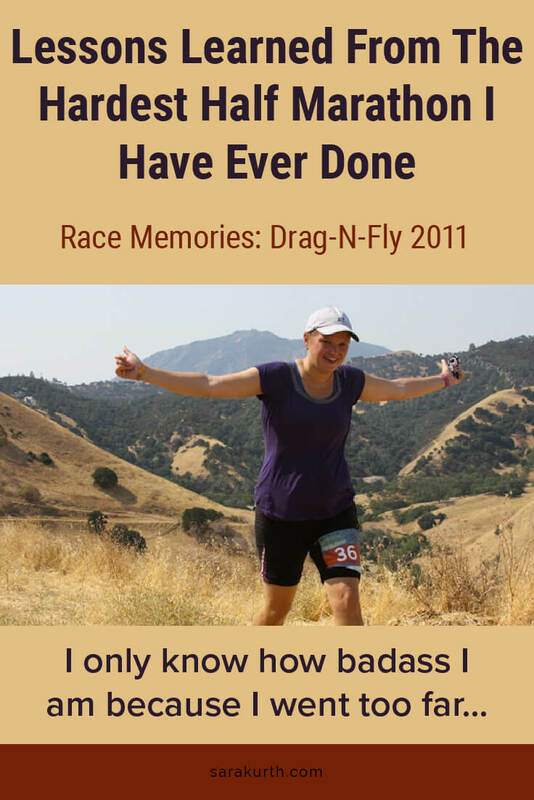 In 2011, when I did Drag-N-Fly, I was just starting with trail running. I loved being out in nature, I loved the lack of crowds at trail runs, and I loved that it didn’t matter that I was slow. Going into the race, I knew about the course profile. I knew there was a lot of uphill, but I could do it with my uphill power walk. What I wasn’t ready for was the 90+ degree heat and the direct sun beating down. I had my sunscreen, and there were aid stations with ice buckets (bliss! ), but even so, it nearly killed me. Hills + heat + direct sun = 13 miles of misery. It was, by far, the closest I have ever come to dropping out of a race. The only reason I didn’t drop was that this race, like many trail races, was in the middle of nowhere. By the time I realized just how out of my depth I was, I was on the far end of the loop. I would have had to either head back to the last aid station or head to the next aid station. Either way, when I made it there, it still would be quicker to walk back to the start than to wait for a ride. I may as well finish the damn thing. My finish time was something around 4:30, and I consider that a blazing success. I believe there is always something to be learned, even from the slowest, hottest, and most sun-drenched run around. Drag-N-Fly is no exception. My most practical takeaway is to always carry a paper copy of the course map when doing a trail race. Not only so I don’t get lost, (or in case I do get lost), but so I know where I am in relation to the aid stations. In my case, it was because I was considering dropping, but it could also be important to know in case of more serious events, such as a medical emergency. As the airline spiel goes, the nearest exit may be behind you. You need a map to know for sure. I knew going in that this would be a tough course and it would push the limits of what I could do. I debated a bit before I registered: should even try? But I also realized this was at the limit of what I thought I could do. I didn’t really know what my limit was. What was the worst that could happen? I shouldn’t stop myself from trying something because of some untested self-imposed limit that is based on guesswork and supposition. I am always good enough to try. Under any other circumstance, a nearly 4 hour half marathon would be a bad finishing time, even for me. But on this course on this day? It was better than I ever could have hoped. Others may scoff at my finish time, but I don’t care in the slightest. I experienced it, I know what I put in to finish the course at all. I did an amazing job, regardless of what the clock said. I realized just how badass I was when I did Drag-N-Fly. I know how badass I am because it was one step beyond my line-of-badassness. Sometimes you only know how hard you can push by pushing too far. It would have been easier to not register for a race that I thought may be too much, but where’s the fun in that? In the past few years, I’ve thought of doing Drag-N-Fly again. I know, am I insane? Probably, but I also know my training and running has changed and improved a ton in the last 6 years. 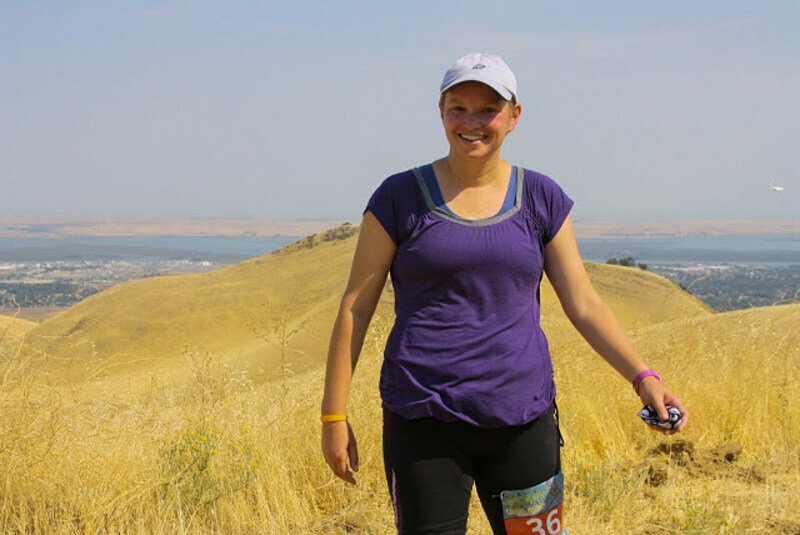 I’m a stronger trail runner, I’m better conditioned, and I know more what to expect. Although, in this case, a bit of ignorance could be bliss regarding the course. Was it really as terrible as I remember? I must be a true endurance athlete because that question intrigues me more than it repels me.